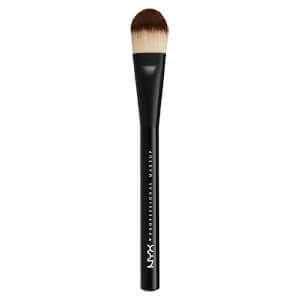 Seamlessly blend makeup with the brushworks Foundation Brush; a high-quality, flat brush that enables you to achieve professional looking results. 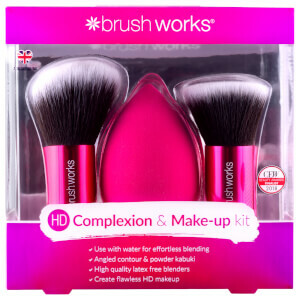 Suitable for both liquid and powder formulas, the soft, synthetic fibres have been shaped and designed to pick up the perfect amount of product to build smooth, even coverage, instantly veiling the appearance of blemishes and imperfections, with a rounded tip to reach every contour of your face. 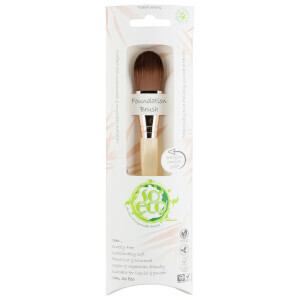 Complete with an ergonomic handle for ultimate precision, the tool is a must have addition to any makeup collection for a flawless, airbrushed finish. 100% Cruelty free and vegan friendly.